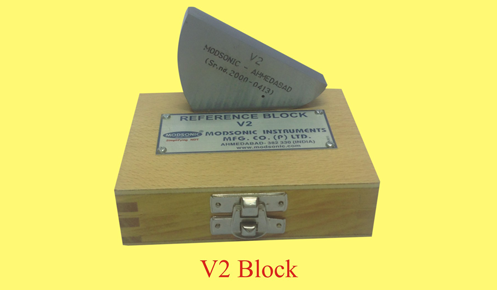 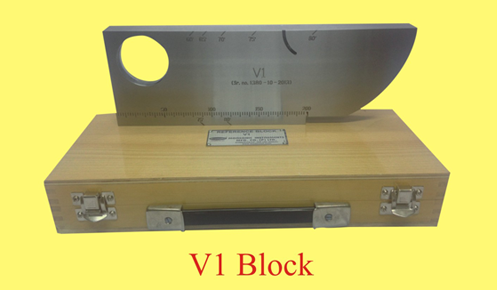 V1 IIW type, conforming to IS – 4904 – 82, with wooden box and handle, Material MS.
V2 Miniature Calibration block conforming to IS – 4904 – 82 with wooden box, Material MS.
VW Step block with ten steps from 1mm to 10mm, Material MS.
*AA Area / Amplitude set ( 1 set = 8 blocks ). 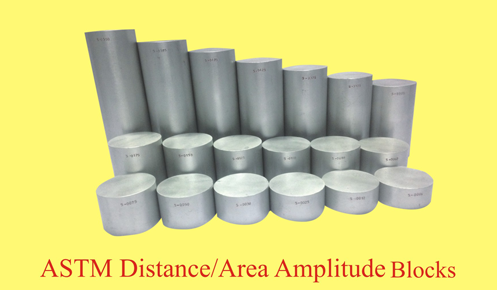 *DAA Distance / Area Amplitude set ( 1 set = 10 blocks ). 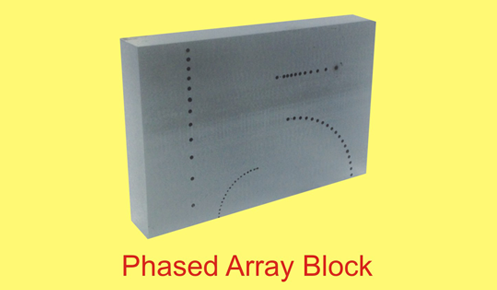 *DA Distance / Amplitude set ( 1 set = 19 blocks ). 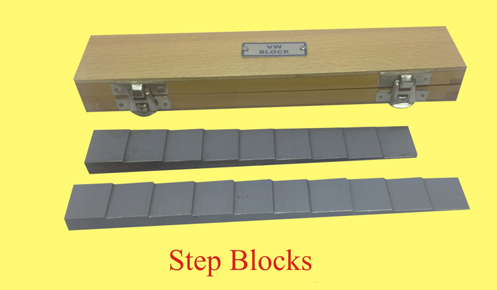 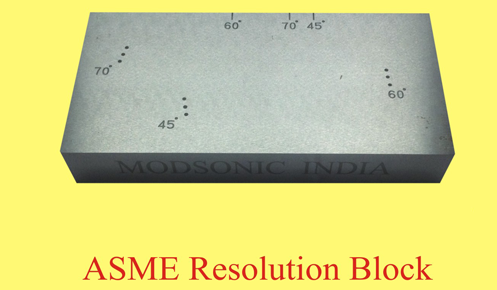 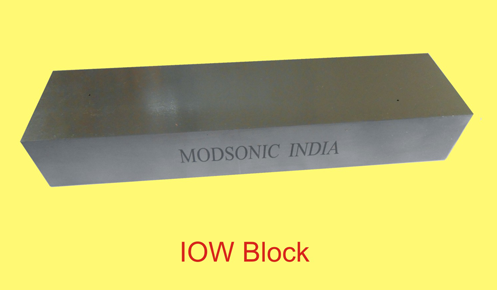 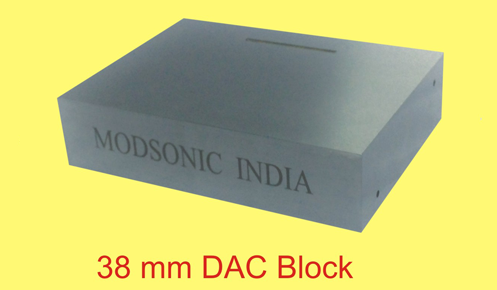 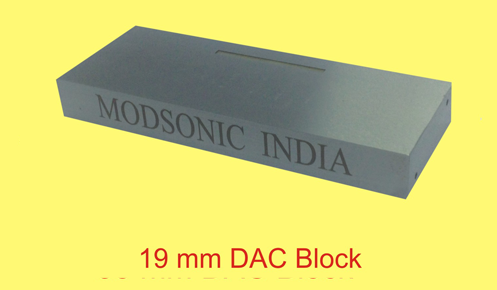 Special *Customized blocks can be supplied as per drawing and material specification.